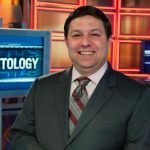 Resident Bracketologist for ESPN, Joe Lunardi talks about his roles at his alma mater Saint Joseph’s University, the origins of Bracketology, his opinions about the selection process, the current state of ESPN, and much more. Joe Lunardi (ESPN Bracketology) was last updated by Greg Holdsman on April 17, 2018 . Bookmark the permalink. 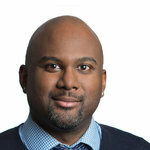 Sports Writer/Columnist for Philadelphia Inquirer Aaron Carter was last updated by Greg Holdsman on February 6, 2018 . Bookmark the permalink. 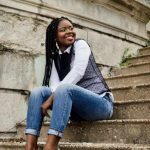 Determined and skilled young journalist Kerrivah “Kerri” Heard talks about her blog, the need to share stories of black success, her love for Philadelphia, and much more. Subscribe and leave a rating/comment! Follow Philly Famous Podcast on Instagram and like on Facebook. Videos now on YouTube! Kerrivah “Kerri” Heard (Journalist)- Philly Famous “Plug It” Edition was last updated by Greg Holdsman on January 8, 2018 . Bookmark the permalink. 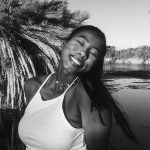 Aspiring Sports Reporter Christina Grierson talks about how she started her journey, her short-term and long-term goals, and the women in sports media that she follows and admires. Christina Grierson (Aspiring Sports Reporter- Philly Famous “Plug It” Edition was last updated by Greg Holdsman on January 6, 2018 . Bookmark the permalink.